Growing Smiles is the vision of Leigh Hunter MSc, PGCFHE, Dip DT, Dip DH, Dip DHE(RSH), CertHEd. Leigh has over 30 years experience in a variety of dental environments both in the UK and abroad and is passionate about oral health. 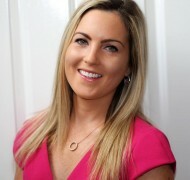 She was Principal of the School of Dental Hygiene at Queens University, Belfast for 11 years and has particular interests in Minimal Intervention Dentistry, Periodontal therapy, and Preventive dentistry. She regularly attends continuing education across the UK and Ireland and believes in quality, individually focused oral health care. 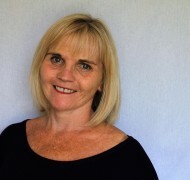 She continues to work in practice and is actively involved in education and training in the UK and Ireland with all members of the dental team. She is a member of the British Society of Paediatric Dentistry, British Society of Periodontology, Faculty of General Dental Practitioners, British Society for Disability and Oral Health , Association of Dental Implantology and the British Oral Health Foundation. The Growing Smiles team are committed to improving oral health and are committed to the philosophy of helping you, help yourself to a healthier smile. Completing her studies in 2014 Heather is a freelance web designer based in Larne, Northern Ireland. She loves all things art and design and specialises in HTML5, CSS3 and WordPress. Heather enjoys turning ideas into simple, beautiful and intuitive designs. We have found she has the patience of a saint as she looks after all the technical end of things for Growing Smiles! In her spare time she runs and makes beautiful clothes.. not at the same time! 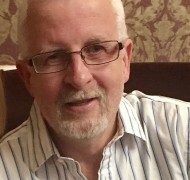 Geoff – is retail and accounts manager at Growing Smiles. He manages stock and ensures orders are made up and dispatched promptly. Geoff retired as head teacher of a primary school several years ago and his experience in education is often called upon to keep GS on track, crossing t’s and doting i’s amongst a wealth of other things. He enjoys golf and looking after his marine and tropical fish along with playing snooker, travelling and reading. Rachel likes to make things pretty for Growing Smiles! She completed her MSc in International Marketing Management in Aberdeen in 2012 and now works full time as a Marketing Manager for a dental company in England whilst doing some ad-hoc bits and pieces for Growing Smiles. 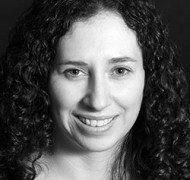 Aside from marketing and her general love of making things pink and sparkly, Rachel enjoys dancing, running and socialising!